Convoy L6 - 38.99 USD (5000K and 6000K) on Banggood! 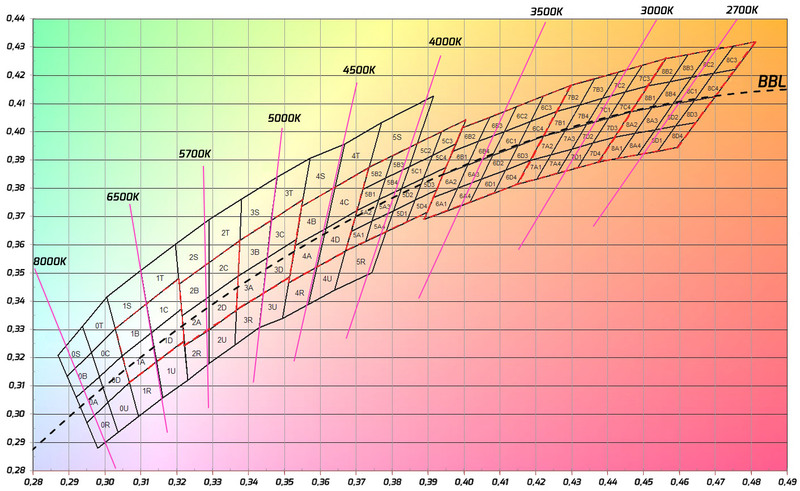 That’s one of the lowest price I’ve noticed for the Convoy L6… Maybe they are now pushing out the XHP70.2 LED version of the L6 and thus dropping the price of the XHP70-based L6? Just grabbed one, been waiting for an L6 to drop in price like this for probably over a year. Incredible price on this light! I might as well pick one up, considering I have an extra pair of keeppower 26650 batteries. It is not gone, just type search Convoy l6 and it is still there. Great price. I got one for about same via direct purchase from seller here. Yeah… no. I can’t. Got Q8s coming out my bum, fairly unused L2s and an MT09R. Do I really need another light-howitzer? Great deal! I bought it for like 45 usd 1,5 year ago. Now thinking of buying another one to mod. its not fake, deal is still running i see,, for this price its insane no reason not to buy one atleast if havent already. Pity the exchange rate is low and banggood apply the gay tax which kills the deal. For similar price i would pick Fireflies E07 but far more nicer pocket light. I have the black version…wonder why the silver one is never up for a bargain price..if it were, I’d snag another. Got one with with SMO shipped. Me love lights lonng tyme! i guess it doesnt sell as much as the black looking at reviews it has alot more then silver. Does this have to take “button top” 26650? or both? Either will work on the driver end, it has a spring. But the cells must contact each other in the battery tube to create the series connection. 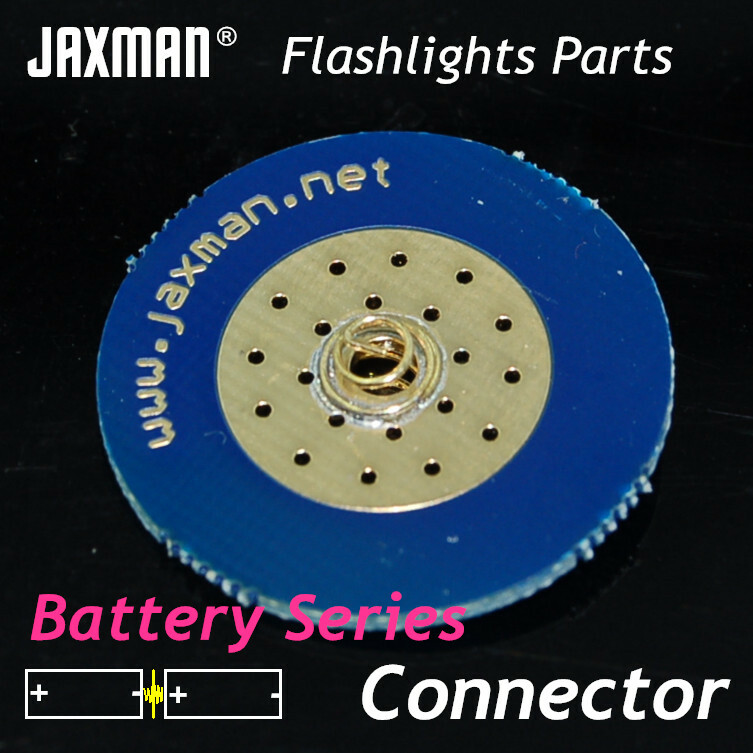 Personally, I use flattops & one of these Jaxman battery connectors…. HERE is a link to the ‘Battery Connector’ if you need it. HERE is a link to the ‘Battery Connector if you need it. nice, awesome thanks. I might order me some. So, what’s the big difference between button top and flat top, other than the obvious. Is it the added resistance??? when do you know when you need either or? 1. As long as the driver has a spring either should work. 2. If the batteries have to make a series connection they must touch positive to negative. If they don’t, either use buttontops, solder b(. )( . )b, or use the connector. Some people use magnets, I do not. To me that method sux. 3. Some battery carriers are designed to accept ‘button top’ batteries only due to reverse polarity protection constructed in the carrier. So you must use buttontops, correctly sized solder b(. )( . )bs, or remove the reverse polarity protection designed in the carrier. 4. Resistance between flat tops & button tops is negligible for my purposes. 5. The Battery Connector probably adds a bit of resistance too, but to me it is not enough to matter one way or the other. use good cells like keeppower which are protected and raised flat tops they will make contact, or unprotected like efest both works its up to you, i wouldnt use that connector really might aswell buy the batteries with built in top instead. Good, glad it did help gracia85 & your welcome, it was my pleasure!! . Soooo, I just use the Jaxman Battery Connector when need be. How easy is it to swap out the OP reflector on the L6 for a SMO? If so, what are the steps? Can someone who has never modded a light do this? Well, that is very easy. Just unscrew the bezel, take out the reflector, (check if you dont accidently remove the gasket around the led), insert new reflector, screw on the bezel, done! Well, that is very easy. Just unscrew the bezel, take out the reflector, (check if you dont accidently remove the gasket around the led), insert new reflector, screw on the bezel, done!